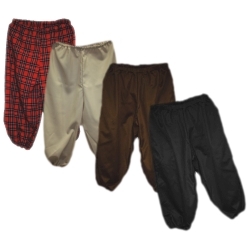 These pants can be used with any type of costume. The length falls just below the knee and are generally worn with socks. With their elastic waist band and with elastic at the hem, these pants can fit many sizes. 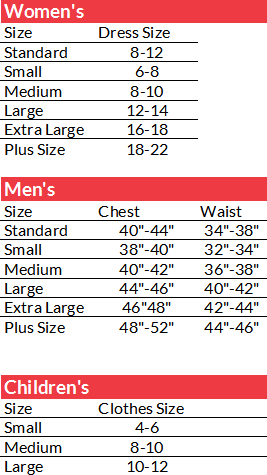 Size:Medium (40-42) or Large (44-46). Colors are Black, Brown, Tan and Red Plaid.